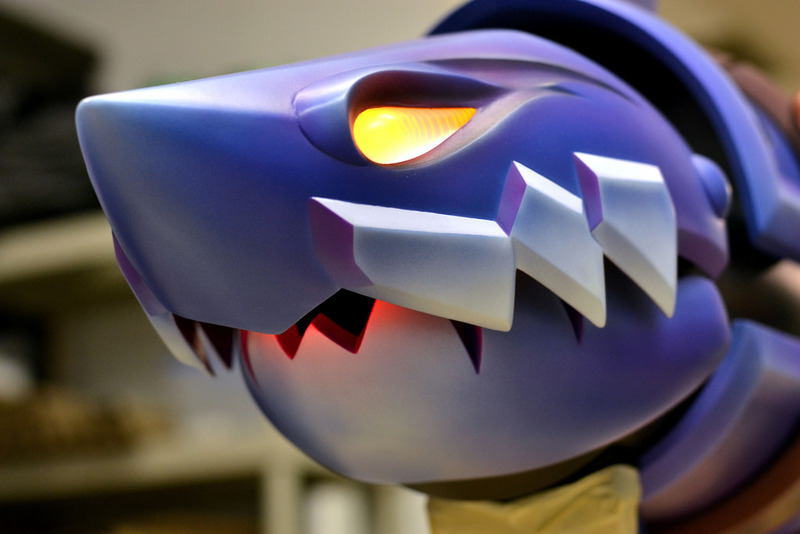 Speed up your Fishbones build with our upper and lower casting of Fishbones’ head, eyes, and jaw! 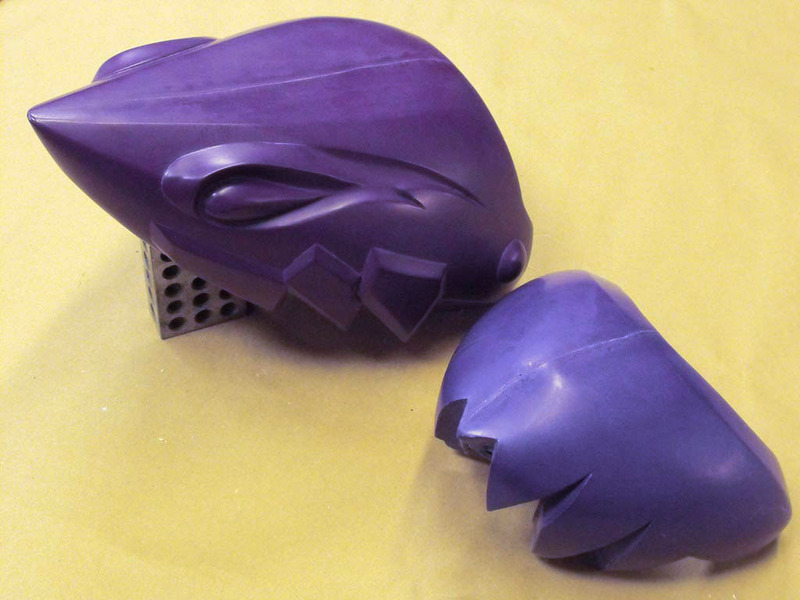 Upper and lower jaw parts are made from slush cast SmoothCast 320 and have been rough trimmed to remove flashing. 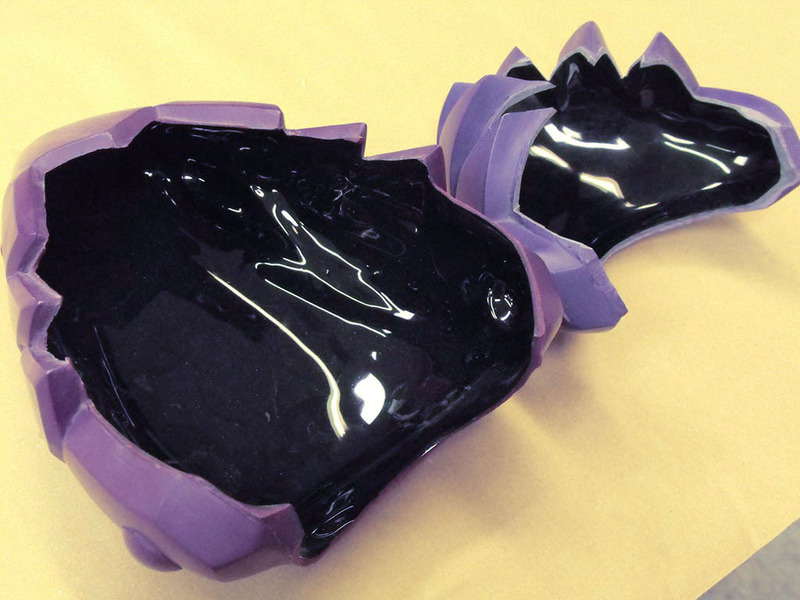 The interior of both parts is very smooth and both have been reinforced with SmoothCast ONYX. These are lightweight and hollow parts and will require very little clean up before final paint for your own Fishbones project. Eye parts are pressure cast Smooth Cast 325 and have a small perimeter lip to help with mounting them into the upper jaw section. No electronics are included in this kit, however a clear set of eyes makes adding illumination to your final project much easier! 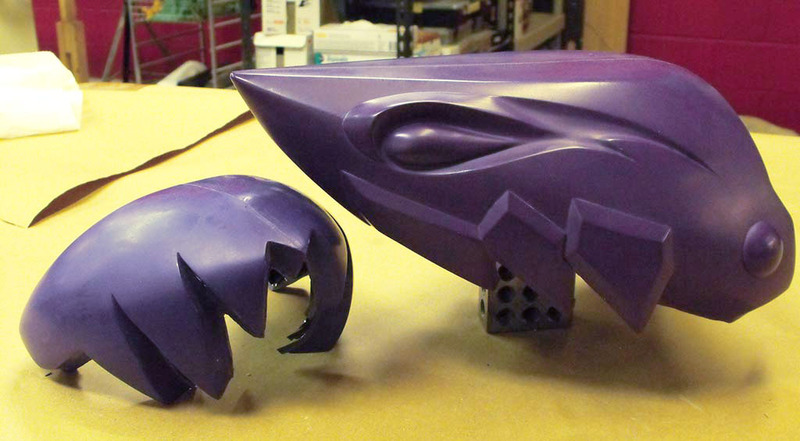 Click here for the Fishbones design and build log.